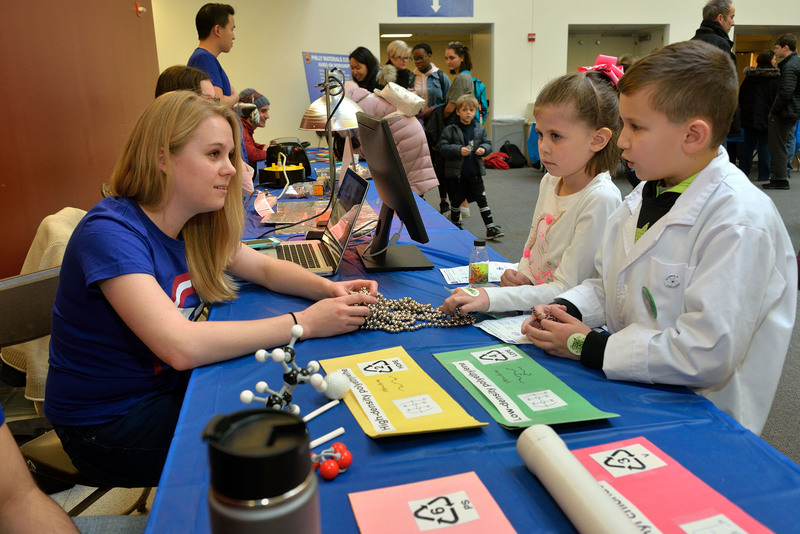 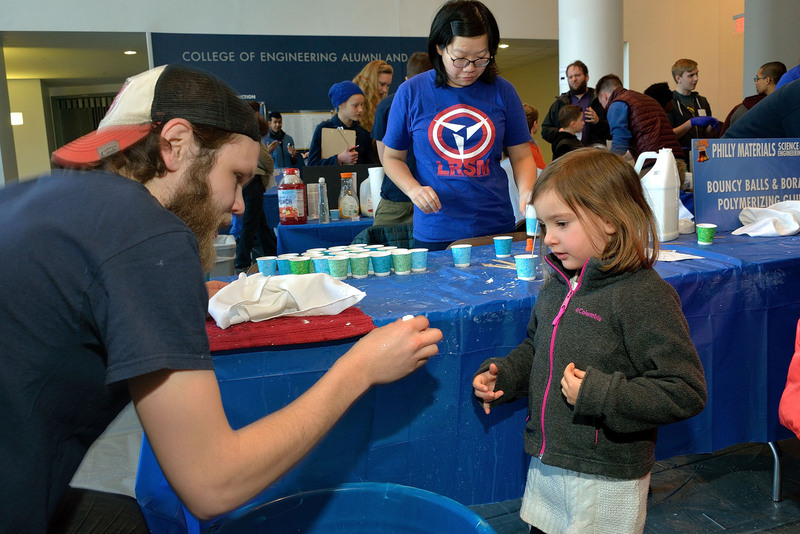 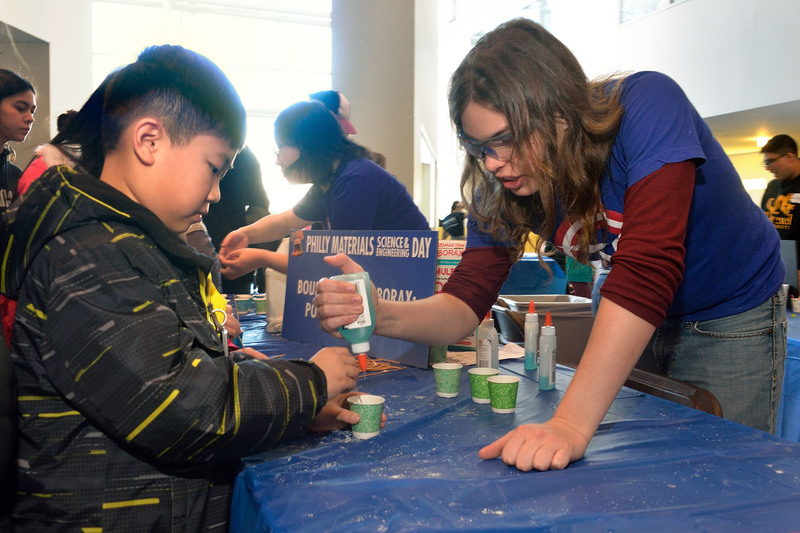 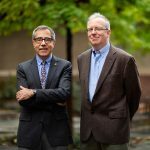 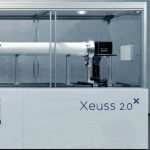 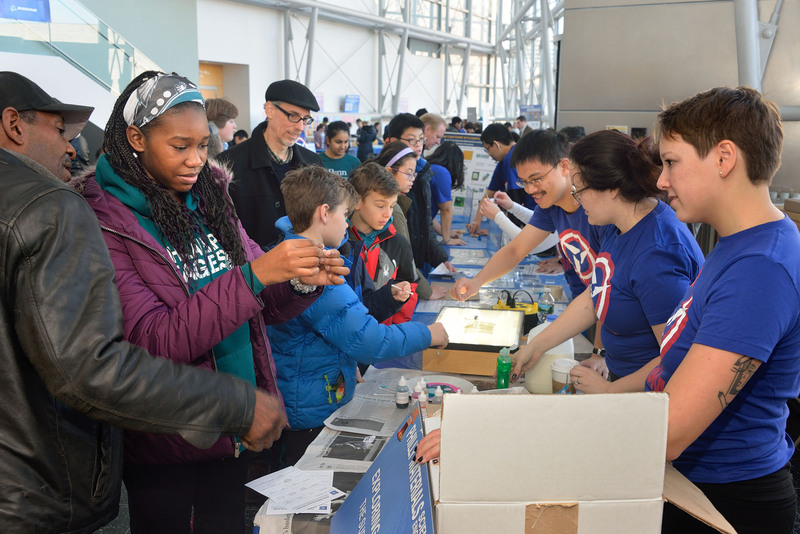 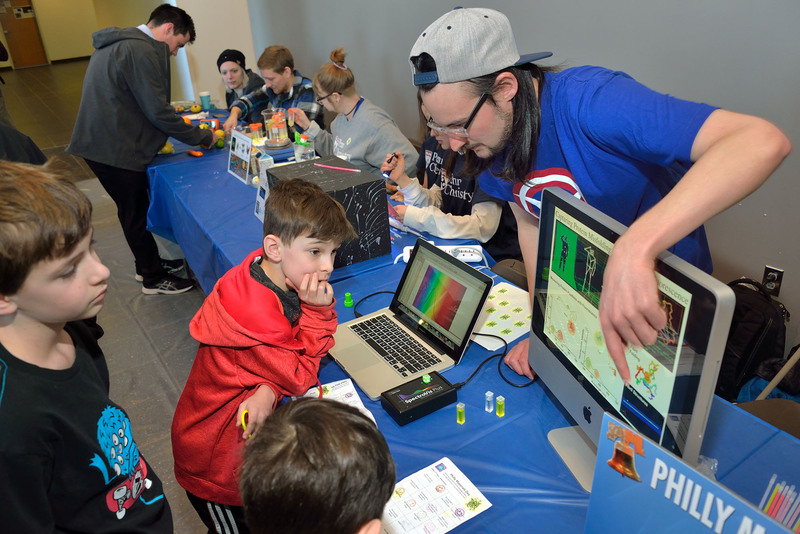 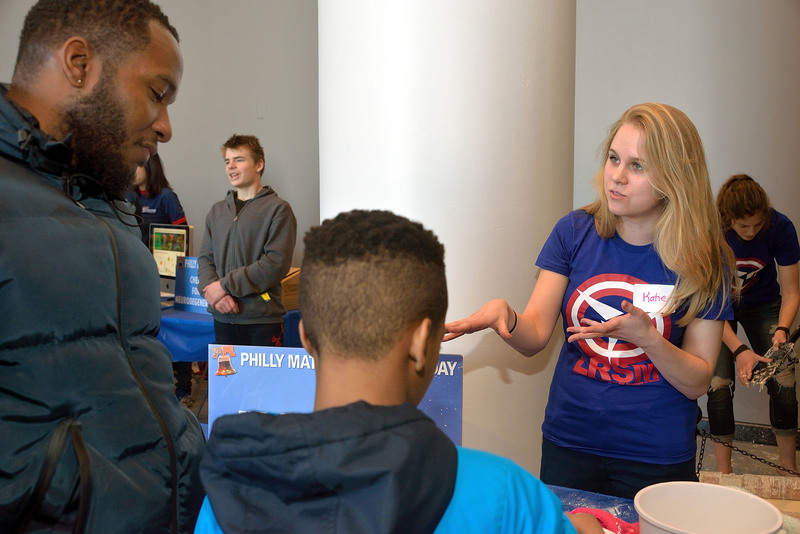 Saturday, February 3rd, 2018 saw the 8th annual Philly Materials Science and Engineering Day, a day-long festival hosted by Drexel University Materials Science department and the Penn MRSEC. 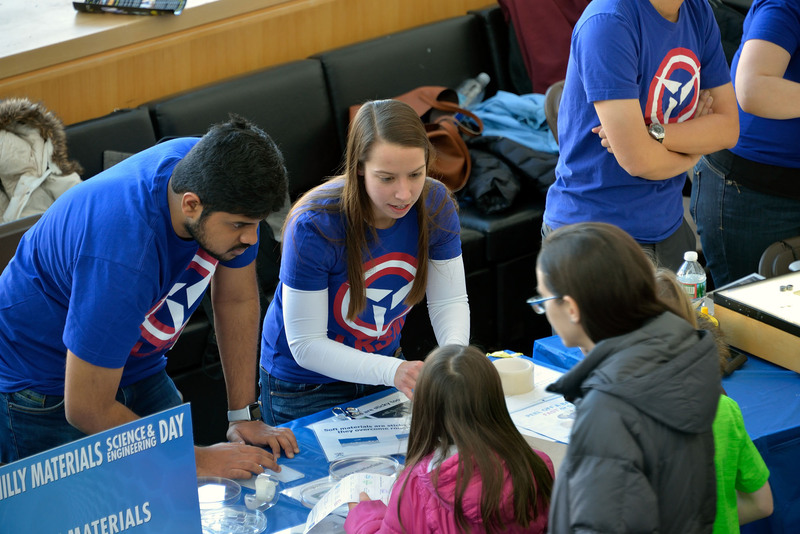 This event has been held annually since 2011 with an average annual attendance of approximately 1,000 people. 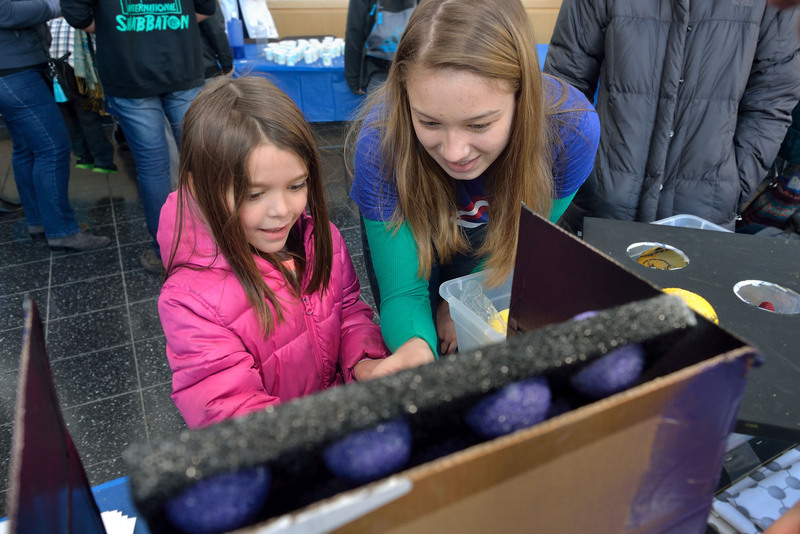 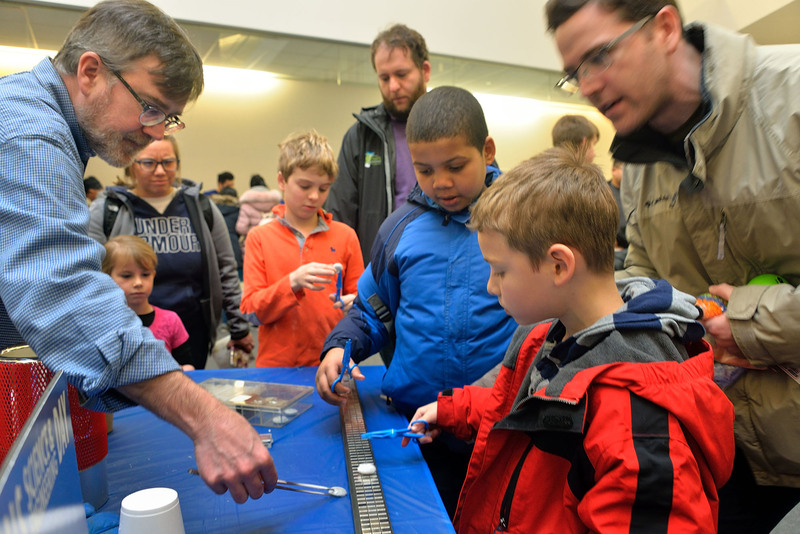 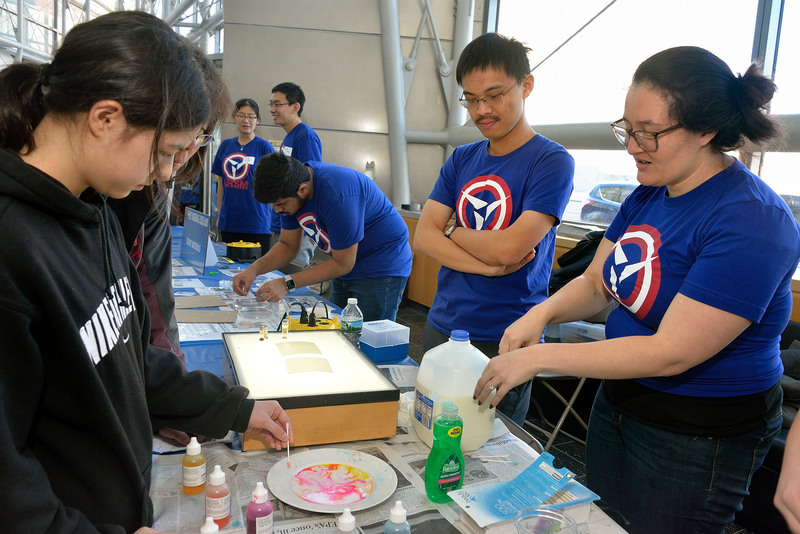 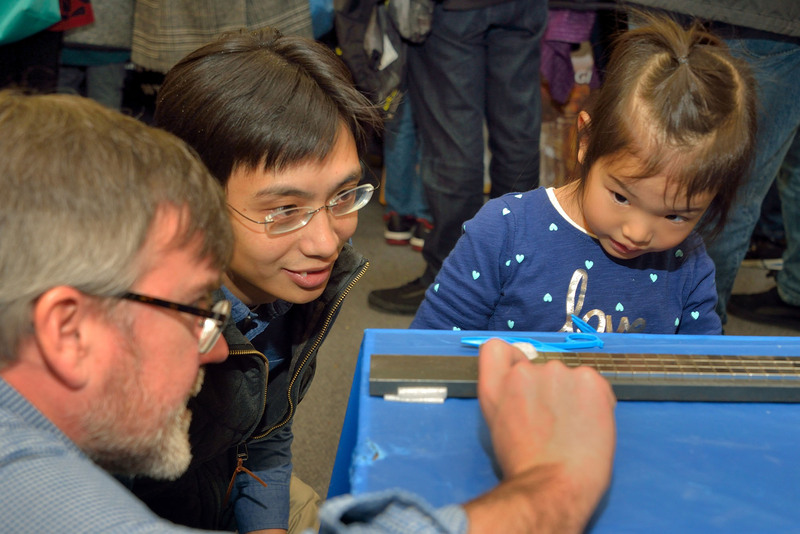 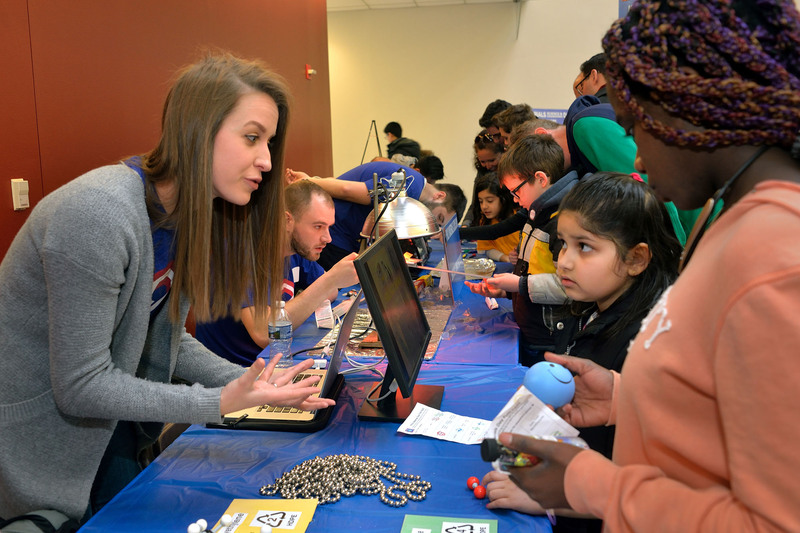 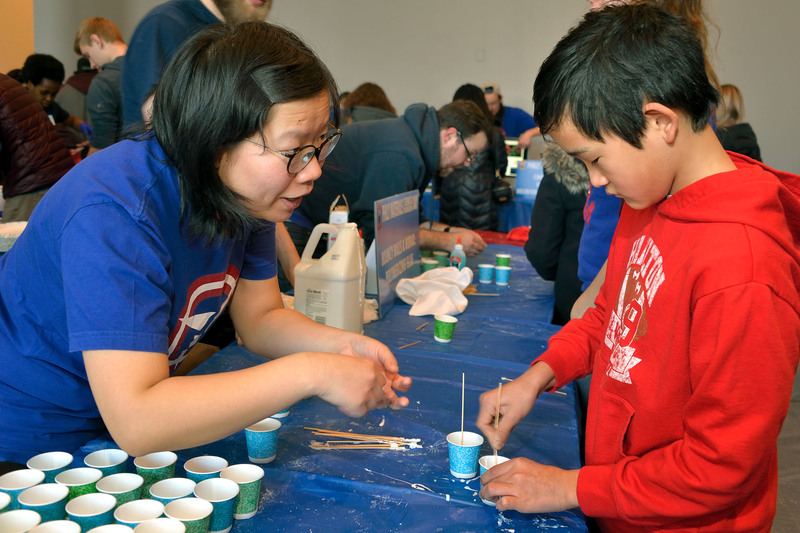 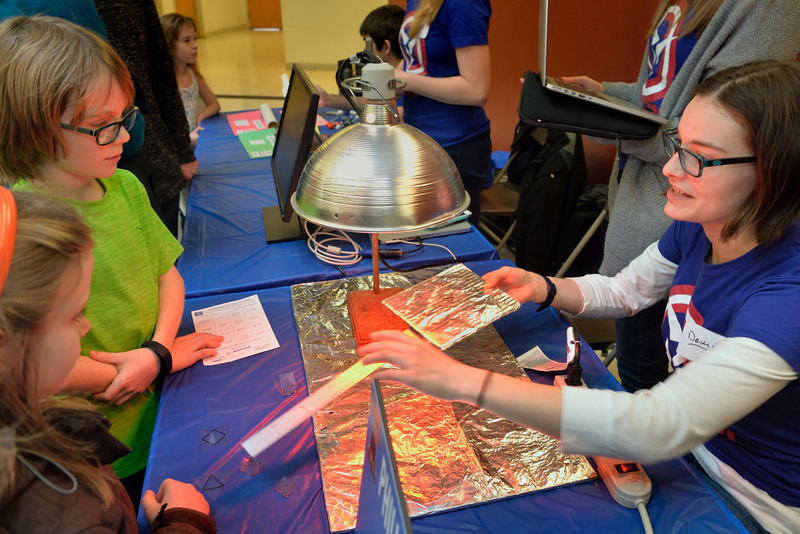 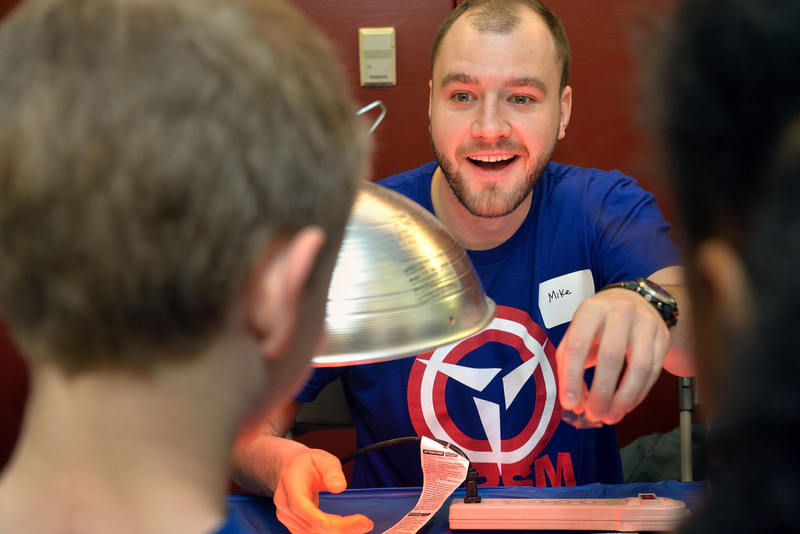 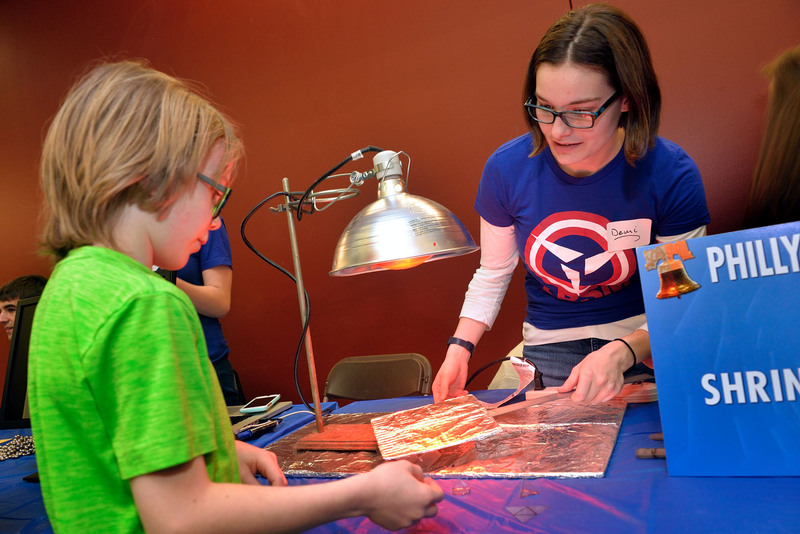 This year, volunteers taught Materials Science concepts to elementary and middle school-aged students and their families with hands on demonstrations and workshops. 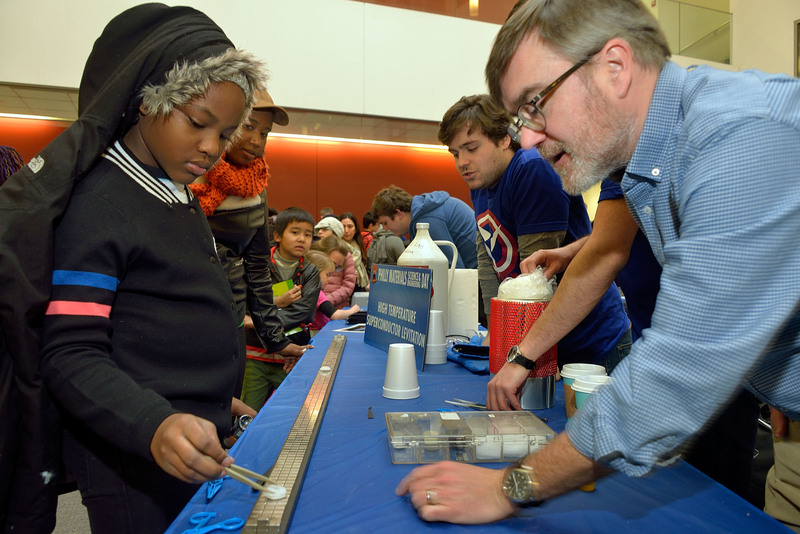 For example, MSE professor Eric Stach performed feats of levitation using high temperature superconductor materials while PhD candidate Lisa Mariani, from Kevin Turner’s MEAM lab, explored soft materials’ properties using everyday materials like strips of scotch tape. 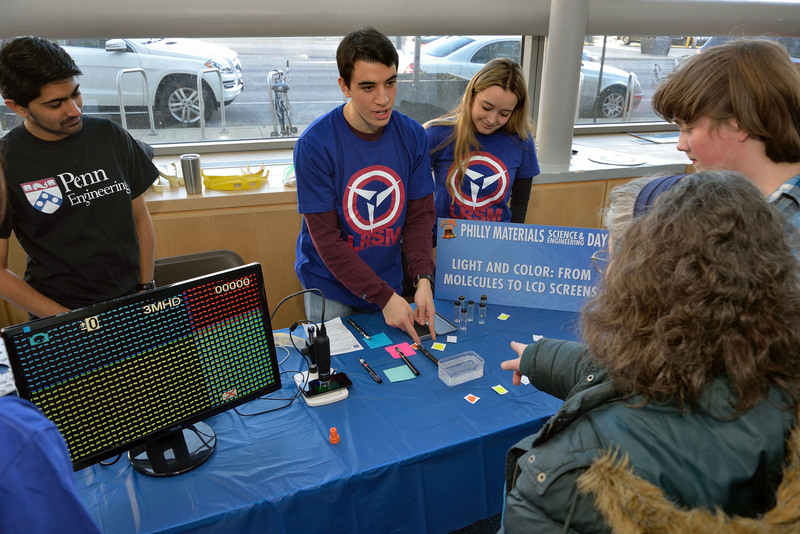 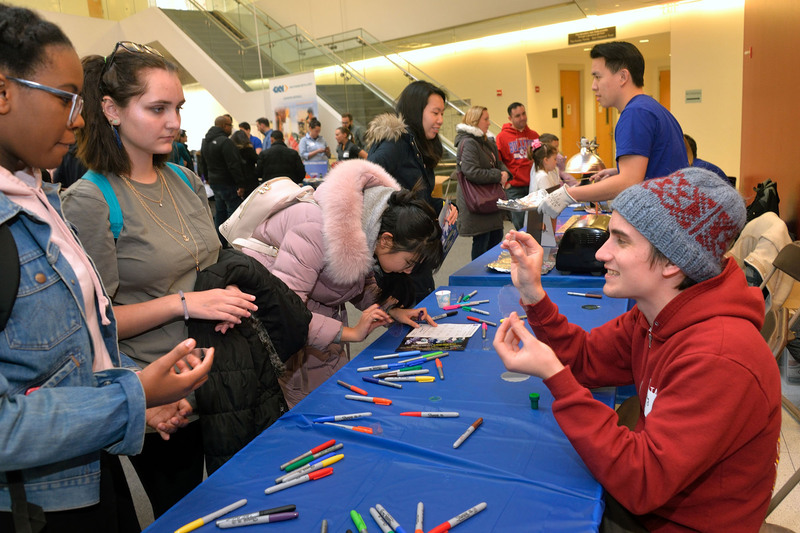 Nearly half of the Philly Materials Day demo tables were staffed by 65 graduate students, undergraduate students, and faculty from 12 LRSM-affiliated groups.